Are you often feeling depressed or experiencing frequent mood swings with an intense craving for certain foods? If so, your brain might have insufficient levels of dopamine, and this can cause you to suffer from poor attention and cognitive function. When one compound is found deficient in your body, your bodily and brain functions may be compromised immediately. Being aware of the signs and symptoms of low levels of dopamine and having an understanding of its causes are extremely important. Dopamine is a neurotransmitter produced naturally in the body and it serves to play important functions in the human body. It belongs to the families of the organic compounds Catecholamine and Phenylethylamine. Dopamine can be found in the Substantia Nigra of the human brain and nerve cells. They release it in the form of a chemical to transmit signals to other nerve cells. Dopamine plays a major role in the pleasure and reward pathway of the brain, as well as memory and movement control. 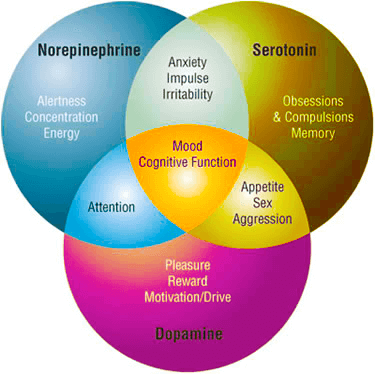 3 Things That Cause Low Levels of Dopamine? Studies have shown that stress causes a decrease in the synthesis and secretion of dopamine in the brain, thus leading to low levels of dopamine being transmitted. Moreover, stress results in depleting adrenals. Check out some ways to manage stress here. The use of drugs has also been attributed to a dopamine deficiency. A street drug called Meperidine causes the dopamine neurons to breakdown, thus resulting in overall low dopamine levels. In addition, Cocaine prevents the breakdown of dopamine and continued use of such drugs can result in a reduction of dopamine receptors. Researchers at Franklin Institute have found that poor nutrition can result in a dopamine deficiency. Foods and drinks such as caffeine, alcohol and sugar can cause a decrease in dopamine levels. Conversely, this can be counteracted with the intake of fresh fruits and vegetables, as they act as antioxidants and prevent or reverse the damaging effects linked with low dopamine. Other factors that may cause low dopamine levels include lack of sleep and the habitual use of antidepressants. L-Tyrosine is one of the 22 amino acids in the body used to build proteins. It is created through the synthesis of Phenylalanine and serves to maintain healthy communication between nerve cells. Phenylalanine in turn, is necessary in the production of Dopamine. What will I experience when I have low Dopamine levels? Depression is the principal symptom you experience when you have low levels of dopamine. This is also coupled with chronic boredom, loss of satisfaction, and apathy. Finally, you may start being pessimistic with the things and events around you and this can result in frequent mood swings. An imbalance or a decrease of dopamine levels in the brain may result in Restless Legs Syndrome. RLS is characterized by an uncomfortable feeling in the legs, which includes itchy, pins and needles or creepy crawly sensations. This occurs because dopamine is responsible for sending messages for muscle control and a disturbance in dopamine levels can alter muscle performance. RLS also produces overall weakness and muscle tremors. Oversleeping due to a dopamine deficiency is brought about by a decrease in certain nutrients such as iron, magnesium or zinc. Along with excess hours of sleep, you may experience a lack of motivation especially when performing exercises and in initiating activities. Moreover, low levels in dopamine results in procrastination. Other symptoms also include dullness of pleasure and lessened libido. Another symptom of a dopamine deficiency is cravings for sugar, sodas, alcohol, and saturated fats. Not only do these foods encourage inactivity and make you gain weight, but they also decrease dopamine levels and their activity in the brain. Due to feelings of sadness, there is a failure to regulate emotions which can eventually interfere with one’s ability to pay attention and remember things. 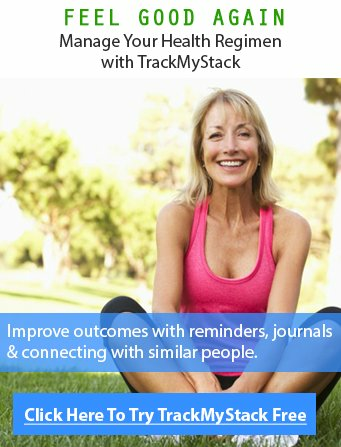 This impairment in memory and thinking stops you from focusing on tasks. Parkinson’s disease is a slowly progressive central nervous system disease first described by James Parkinson in 1817. At the time, it was descriptively referred to as the shaking palsy or paralysis agitans. It is typically characterized by the cardinal signs of bradykinesia, resting tremor, rigidity, and postural instability. The disease may also cause a variety of other symptoms including movement and gait disturbances; sensory changes; speech, voice, and swallowing disorders; cognitive and behavioural changes; ANS dysfunction; gastrointestinal changes, and cardiopulmonary changes. A continuous decrease in dopamine levels in the Substantia Nigra in the brain could definitely contribute to the development of Parkinson’s Disease. What can I do to increase my Dopamine levels? A healthy diet can greatly benefit you and help your brain cells produce sufficient amounts of dopamine. Phenylalanine is an amino acid necessary for the production of dopamine and can be found in foods such as: almonds, chocolates and eggs. Bananas are also helpful in raising dopamine levels by increasing another amino acid called Tyrosine, which also increases dopamine levels. Moreover, apples are rich in antioxidants that prevent dopamine cells from damage. To recap, Lifestyle modifications can significantly improve and increase dopamine levels. This includes exercising, avoiding stress, and staying away from activities that lower dopamine levels. Also, supplementation is a common practice in addressing low dopamine levels; you should contact your physician first. Other common supplements to increase dopamine include L-Phenylalanine and Vitamin B6. Alternatively we have a list of supplements that improve your mood and stress reducing supplements also.